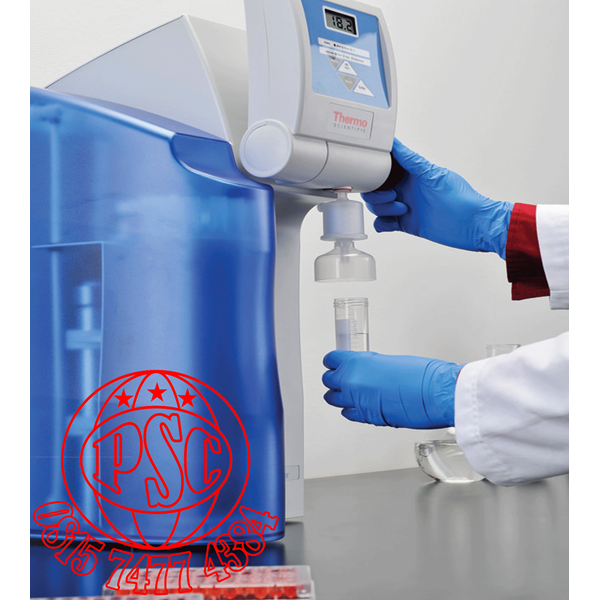 Rinsing lab glassware, supplying autoclaves and ultrapure water systems, preparing and diluting buffers, reagents, and tissue culture media. All in one! 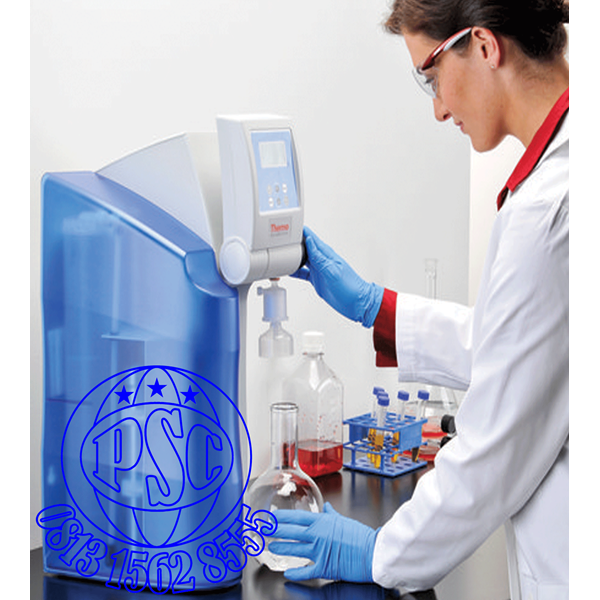 The Barnstead Smart2Pure system is a compact system that converts tap water into both ASTM Type I and Type II water. The Smart2Pure 3 and 6 systems feature a built-in 6 L reservoir to store the Type 2 water. 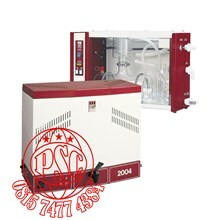 The Smart2Pure 12 system offers the choice of a 30 or 60 L reservoir for added storage capacity. • Based on your requirements, choose from capacities of 3, 6 or 12 L/hr, dispensing up to 2 L/hr of Type I water. • Validated 0.2 µM final filter can be autoclaved up to 5 times. • UV-Oxidation 185/254 nm reduces organic compounds in the water to ultra-low levels as well as microorganisms and their metabolites with up to a 2-year lifetime. Available on UV systems only. • Internal ultrafilter ( UF ) is flushed automatically and has a large surface area to ensure the highest retention of endotoxins and nucleases, and allows for up to a 2-year lifetime. Available on UF systems only. • Water purification progresses through independent cartridges with Aquastop quick-connect for fast replacement. • Module 1 u Combination of pretreatment and reverse osmosis membrane. • Module 2 u Polishing cartridge contains high-quality ultrapure resin designed for consistent purity and long cartridge life. 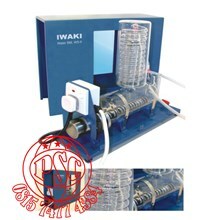 • Dispensing is easy and features variable speed controlled flow. • The display can be tilted for optimal reading. • Position on laboratory bench or mount it on the wall. • Constructed with pigment-free materials. • Polyethylene reservoir is opaque to light to discourage bacteria growth, and has large opening for easy and effective cleaning. 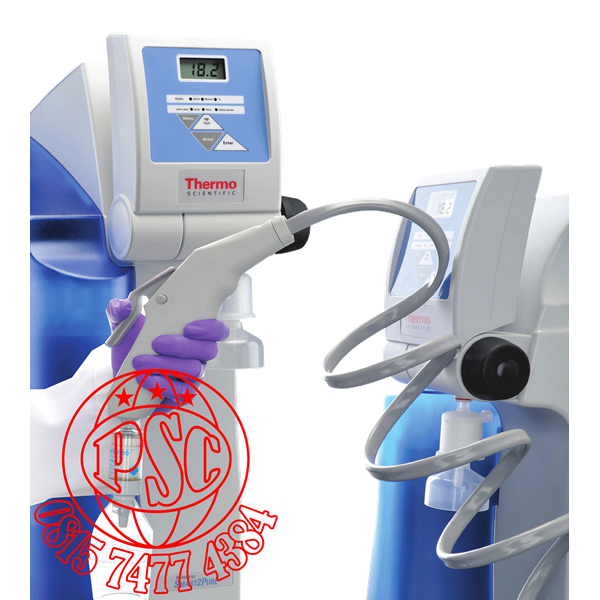 Systems include RO/pretreatment cartridge, an ultrapure polisher cartridge, sterile 0.2 µM filter, and UV lamp and/or UF filter where applicable. 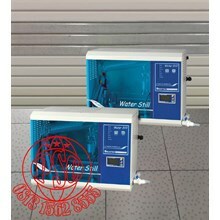 3 and 6 L /hr version also include an internal 6L tank with vent filter. 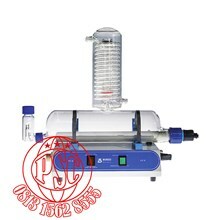 Prolongs cartridge life, ships with filter housing and 1 µM filter. For locations with hard water, prolongs the life of the RO membrane. Ships with filter housing and hardness stabilizer cartridge. Choose a reservoir that fits your needs. Ships with 3 meters ( 9.8 ft ) of tubing to connect to tank and sterile 0.2 µM filter. Choose a reservoir to meet your capacity needs. Water in reservoir should be used every 1-2 days. UV lamp assembly for the tank, 230 V (not sold in U.S.) Ships complete with assembly and UV lamp.